You will notice a wide variety of rice in the rice section. Most the rice you see in Japan are the short grain rice and not the long grain rice you see in other countries. They all represent different variety of rice produced in different parts of Japan. Most of the rice you see in Tokyo are from the Tohoku Region. The most popular variety is Koshihikari, which represents 40% of the total market, but you can also find other varieties such as Akitakomachi, Koshiibuki, Hitomebore, Hitomebore, Sasanishiki. If you are not very picky, it doesn't make a huge different on which rice you choose as they all taste fine. Make sure you know whether you have chosen the normal rice or the pre-washed type (無洗米). The pre-washed rice has become very popular since the 311 Earthquake as you don't need to use excess water to rinse it. In addition, the technology of producing the pre-washed rice has improved over the years so taste-wise there is not much difference. 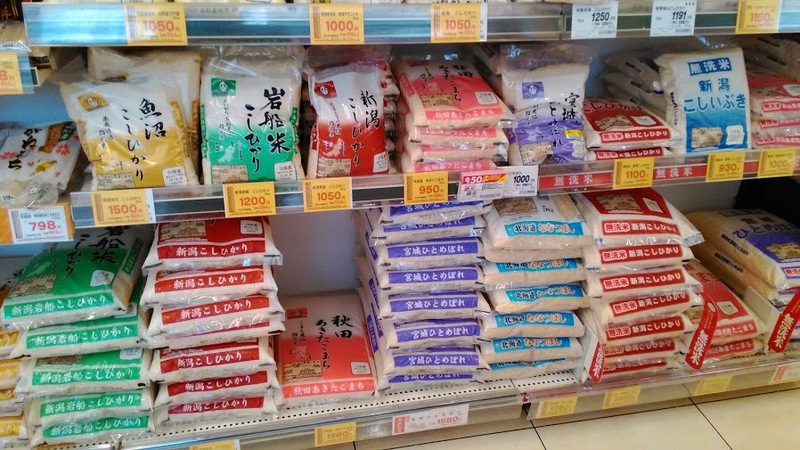 Pre-washed rice is usually about 100 -200 yen more expensive than the normal type for a 5 kg bag. The different color of packaging represent different places of production/variety of rice. 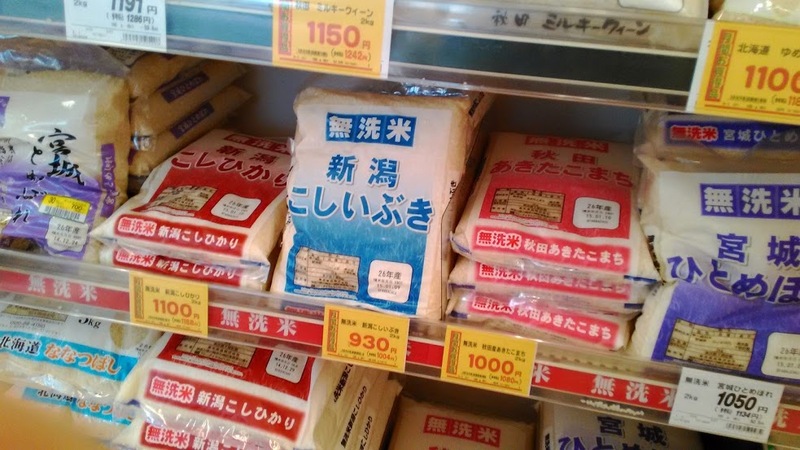 The Pre-washed rice are clearly labeled "無洗米(musenmai)". Fluff the rice with a paddle and serve. Be quick in rinsing the rice! Always soak the rice before cooking! Don't open the lid while cooking and steaming! Adjust the water according to the results. Basically, new crop rice requires less water as they contain more water, where as old crop rice would require more water to cook.